No matter what competitors do when launching new updates, Gmail will still be one of the best webmail. With advanced features of bookmarks, chat, video calls and spam filters the official email from Google, has gained a lot of popularity and is used by 1,4 billion users . Today, we are here at the euphoric Bybrand with the launch of our first integration, and could not be a better partnership with Google Mail. You can now update your email signature with just one click, without having to sign in to Gmail and go into settings and paste the HTML into the signature text area. As you can see in this tutorial Adding a signature in Gmail, manually . Enabling integration will save you a lot of time, and especially possible errors compared to manually pasting the signature. Why do we choose Google Mail, like the first? It is the main email extension of Bybrand customers. 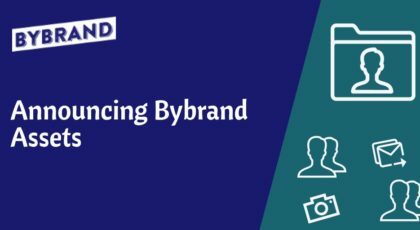 So much happiness that does not fit in the chest, the integration area is an important step for Bybrand to be the best email signature manager , our effort is to give less work to customers. Signature integration is not just with email accounts. Our job is to enrich your team’s email signatures. For example, you might want all the links in the signature to have a URL shorter like bitly.com , or receive warnings in the Slack group when a change is made. Here is a list of other integrations that are on the way, do not look at all in depth, it may be that a business, does not have an integration API available. But we are already doing some “lobby” for availability. We’re hoping that everything works out. Email marketing, for cold email campaigns. Finally, visit our integration area . And also, follow our page on Twitter , Facebook andLinkedIn for important updates. In a single area you can now do everything about images, that means fewer clicks and more productivity.